A. Lazaric is a research scientist at the Facebook AI Research (FAIR) lab since 2017 and he was previously a researcher at Inria in the SequeL team. His main research topic is reinforcement learning, with extensive contributions on both the theoretical and algorithmic aspects of RL. 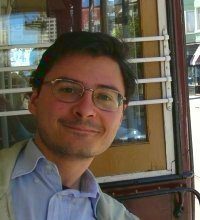 In the last ten years he has studied the exploration-exploitation dilemma both in the multi-armed bandit and reinforcement learning framework, notably on the problems of regret minimization, best-arm identification, pure exploration, and hierarchical RL.